Web design encompasses many different skills and disciplines in the production and maintenance of websites. icode infotech provide different areas of web design include web graphic design, interface design, authoring, user experience design and many more . Often many individuals will work in teams covering different aspects of the design process, although some designers will cover them all. icode infotech web design is normally used to describe the design process relating to the front-end (client side) design of a website including writing mark up . 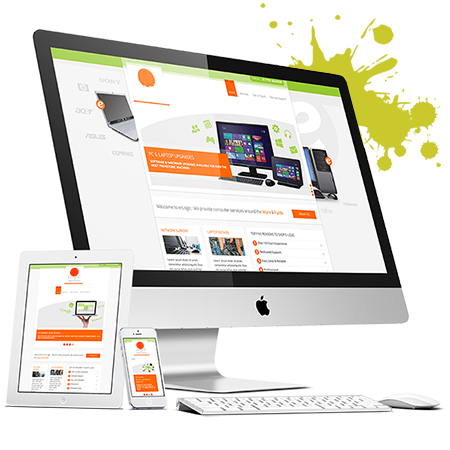 Web design partially overlaps web engineering in the broader scope of web development. Web designers are expected to have an awareness of usability and if their role involves creating mark up then they are also expected to be up to date with web accessibility guidelines. A Professional website design and development requires experience and perfect understanding of the corporate business needs with various sizes. More often than not, web developers tend to perceive professional websites should be too simple and plain; however, the reality is too different. Basically, corporate sites must look elegant, and have a professional feel to them, but this doesn’t mean they should look dull and boring. Just adding a small flash intro can bring life to your static website and totally will change the way your site looks. Professionally Designed Websites create web presence / branding of your company, your services and products. A website is easily accessible from any part of the world. A well developed website promotes inquiries/business from across the boundaries. A website can easily be accessed from anywhere in the world and thus eliminates the time required in shipping catalogs and brochures. A website is an online catalogue of your products and services and can reach millions without any extra recurring cost. Besides, it is accessible 24*7 without the client having to consider weekends or public holidays. A good website allows prospective buyers to learn in detail about your company and your services.